3) Turn on the access for less secure apps. 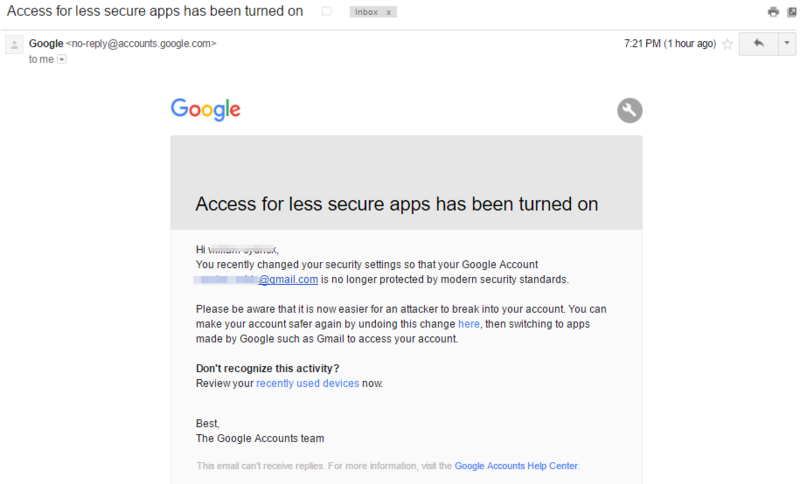 Once done, you should receive an email regarding the enabling of access for less secure apps. a. 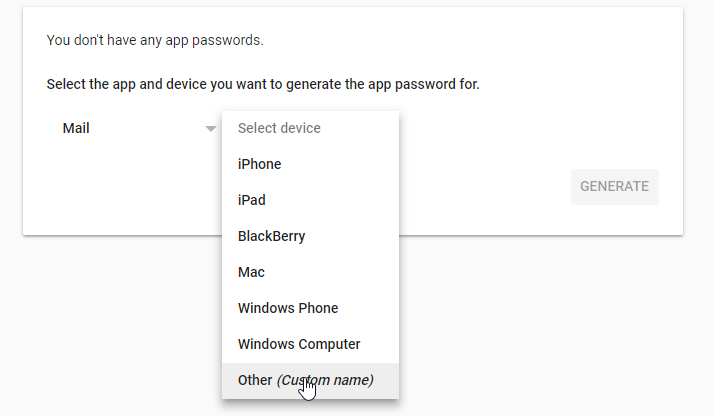 Go to https://security.google.com/settings/security/apppasswords. You may be asked to sign in to your Google Account. Make sure to sign in to the correct account. d. Enter your Custom Name. You can put Jotform in it. f. Copy and save the password to your computer. g. Click the Done button, and that's it. You need to save the password for future use. Otherwise, you'll have to generate a new one again since Google does not allow you to view the password once you click the Done button. Once done, it should let you send JotForm email alerts using your Gmail account. I have actually used a gmail plugin called GMass for sending automated emails and it's actually pretty good... except that I did get my email address banned for a short period of time for sending too many emails with that plugin. HAHA. I would honestly just recommend to peeps to get an autoresponder software. Plus, when you use an autoresponder you usually have a custom email which looks way more professional. I did a Youtube video on how to set the entire thing up. it's on The Entrepreneur Shack channel. I had this set up and working, but then I needed to change my email password today. I have tried everything and can't get it working again. :-( Can you please help? when i check bounce list it says your email is not in bounce list. 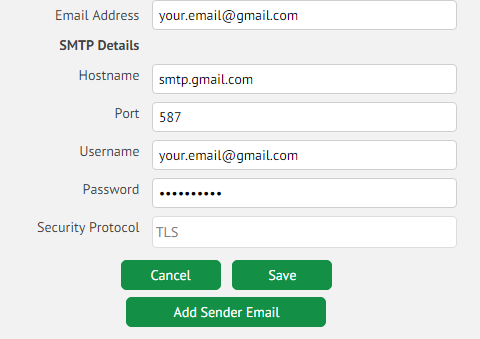 Hi, I am trying to set up the auto responder of my forms to go through my Gmail business email account using SMTP. I do not want my clients to receive the auto response from jotform (as the sender). However when I test the auto response the sender is still Jotform. I tried several times and read some of the forum discussions but I am not able to solve this problem.